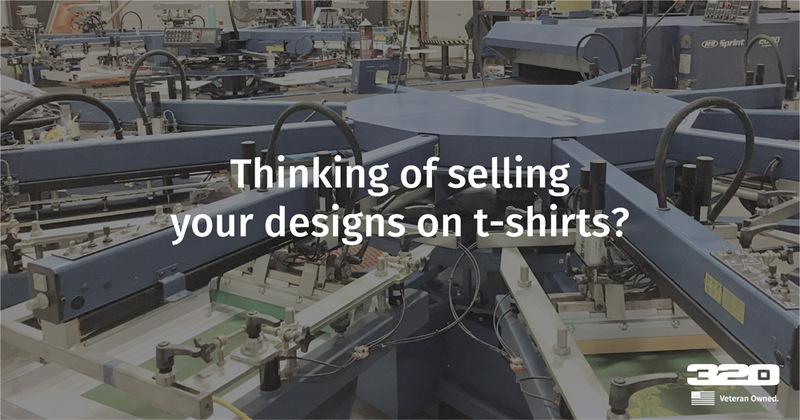 Thinking of selling your designs on t-shirts? Apparel, especially t-shirts, can be a great source of income. Just Google, “Top 5 ways to make money online” and t-shirts are on the list. Over the years, I have had many folks come into the shop to get their new apparel company off the ground. Many have a great concept or designs, but very few knew what to do after they had their designs printed. We have helped so many that I thought it might make a helpful blog post outlining a few of the key starting points. Most folks that come in looking to start their clothing line are on a very limited budget, here are a few things to keep in mind to help you keep your initial investment as low as possible. Don’t try and release too many designs at once. Pick a couple of your best designs, and start there. This is a great way to test the market and find out what sells and what does not, then you can make adjustments to the design or try a new set of designs next time. Limit how many colors that will need to be printed on the shirts, the more colors, the more the printing costs. Limit how many locations, if we are printing the front, back, both sleeves and a tag print, and you are only ordering 24 shirts, that will be pricey, and you likely will have very little margin to work with. Like any venture, it will take hard work, late nights, and a little patience to get your idea off the ground. There are so many other parts to this process to consider, but starting out with these few pointers in mind can keep you on an even keel out the gate. I hope thais was helpful! Why Do Screen Printing Orders Have Minimums?